These guys were super hard to find, but being in the industry has it’s perks. Now you know too! National Door Industries manufactures those Decorative Window Inserts and Frames for many of the garage doors that are sold in the US. These are hard to find and many of the Garage Door Manufacturers do not carry replacement stock for older doors they made. Check with National as they may still have what you need in stock. National also wholesales many of the components you’ll find on a garage door such as hinges, door handles and hardware, and even lubricant. 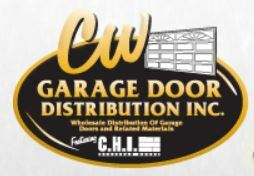 CW Garage Door Distribution, Inc. This is another good place to find Window Inserts and Decorative Glass Windows, complete wood and steel door assemblies, door openers, and more. GDP International Trade Co.,Ltd. – Garage Door Manufacturers Garage door parts manufacturer in Ningbo China supplying Rollers, Bearings, Pulleys, Hinges, Aluminum Drums, Spring fittings, Chain Hoist, Brackets & Angles, Tracks, Handles and Locks. Products exported to USA, Canada,Eurpoe, New Zealand and Australian market.